Home > Looking for an installation manual? Looking for an installation manual? Why should one need an installation manual? After all, installing a pump or fence does not need that much explanation if the correct amount of nuts and bolts are part of the package. Why, then, bother about providing a separate installation manual? The prejudice that you don’t need an installation manual in any shape or form is persistent. But it is really foolish to leave an installation manual aside. The reason is clear. That reason is called: safety. What, exactly, is an installation manual? Why use an installation manual? To give a clear description of an installation manual, it is best to distinguish an installation manual from another manual that is about nuts and bolts: the assembly manual. Whereas an assembly manual gives instructions how to bring the parts of a product together, an installation manual presupposes an already usable product. Such a product only needs installing, i.e., needs to be made ready for use. We all know assembly manuals in their IKEA version: easy-to-understand drawings that bring the parts of a chair or table together. However, most of us do not know installation manuals other than those of IKEA. Installation manuals for pumps, generators or high-duty printers are primarily meant for professionals, i.e., professional mechanics – not for the everyday user of furniture. Granted: sometimes the difference between an assembly manual and an installation manual is not particularly clear-cut. Take a fence that needs to be anchored outside of a building. Anchoring is something that belongs in an installation manual. But before one can anchor a fence, it needs to be assembled. For example, horizontal parts have to combined with the vertical parts of a fence. The lock mechanism has to be brought in place as well. In this respect, a fence is something of an IKEA cupboard. Nevertheless, the focus of both manuals is quite different: installing differs from assembling. Why do you need an installation manual? After all, when opening a bag full of easy distinguishable nuts of bolts, it seems as if there is no need to get an additional explanation of some sort. This may indeed be so: nuts and bolts might lead the way without the need of a guide. But that is not the end of the story. The installation of a diesel generator takes more than simply anchoring it in a hall. For example, anchoring the generator might need two sessions: one ‘directly on the spot’ to indeed anchor the generator with nuts and bolts. Another session, however, could be equally important: the one after the generator has been in operation for 14 days and the nuts and bolts have had time ‘to settle’. After such a period, it could be of utmost importance to tighten the nuts and bolts for a second time. Leave out one of the sessions, and the installation can be considered unsafe. An installation manual should point this out and is, therefore, necessary. 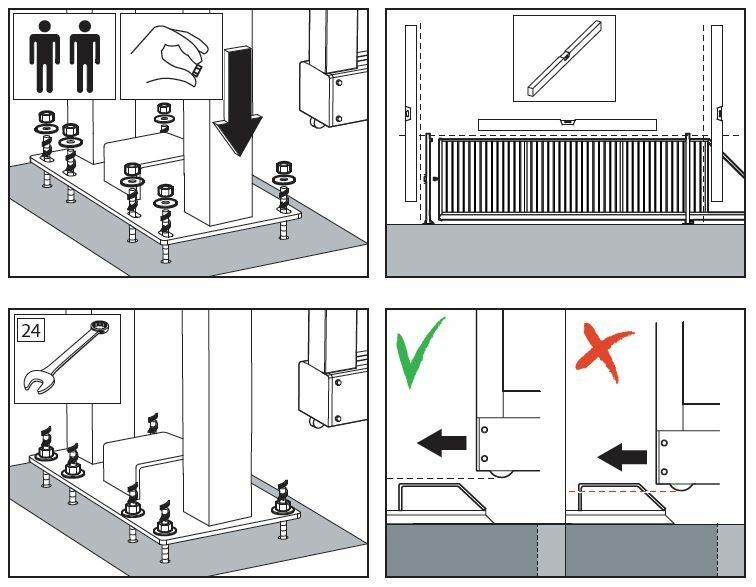 In other words, an installation manual is first and foremost a checklist. Installation manuals are there to promote an efficient use of a generator or a fence. But they are primarily there to promote a safe use of that generator or fence. Which sectors cannot do without installation manuals? There are many of them. Construction work involves installing boilers, radiators as well as pumps and generators. Solar panels are being installed by contractors as well. Both contractors and utiility companies are the main users of installation manuals. Initial anchoring as well as long-term safe use are the main issues. That a good installation can drive down maintenance costs, is an added bonus. A good installation manual is above all an ‘illustration manual’. This means that visuals should always be first choice and alphanumeric information second. The reason is simple: illustrations give less rise to confusion. An example comes in handy. Suppose a mechanic has to replace every bolt of a diesel generator every two years in order to secure a safe use of that generator. But what exactly does ‘replace’ mean? Probably, nine out of ten mechanics take it that they should use new bolts to replace the old ones. But mechanics that might be not that familiar with the term ‘replace’ might interpret it as to mean: just take out the bolts and put the same in again. After all, such an action could also be considered as an activity with which to secure a bolt anew. It is here where confusion can set in. But if an illustration points out to do away with the old bolts (using a red cross to throw them away) and presents a new box with new bolts, there is no confusion at all. The point is: an illustrator is forced to think in such a way in order to make his/her intentions clear. A technical writer might be tempted to think that the term ‘to replace’needs no further explanaton because of its daily use of applying completely new items. Unfortunately, this is not the only way in which this term can be interpreted. A company that knows how to set up an(y) installation manual, is the Dutch firm Manualise. 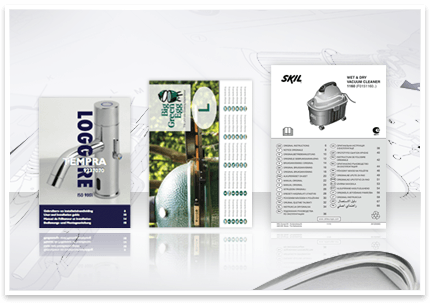 This company is an expert in creating installation manuals that are visually-oriented, thus leading to faster understanding as well as less translation costs. Because of this philosophy, its customer base has a very international – and even truly global – character.